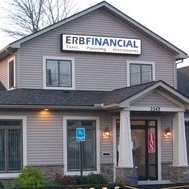 One constant that has been with Erb Financial since its early days is that we operate as a team. Though you may primarily deal with one person with your particular need, there is a strong team of people who are in some way involved in getting your work done. This provides consistency and dependability in our offerings, and provides our staff with a deeper well of resources and support in getting the best possible outcome for you. We would have it no other way. Bob Lee has been a licensed Registered Representative and Investment Advisor with Erb Financial since 1998, after spending his first career with the Eastman Kodak Company as the Director of Human Resources for the Worldwide Research & Development Organization. Bob is an incredibly focused guy who starts out each day with a 10 mile walk before the markets even open.